These NEW workpants are the culmination of years of JOBMAN Workwear innovations, incorporating proven workwear concepts with new fabrics and designs for the most demanding work situations - PLUS, these pants have a retro denim look. The 2991 was designed to celebrate JOBMAN Workwear's first 40 years manufacturing workwear. 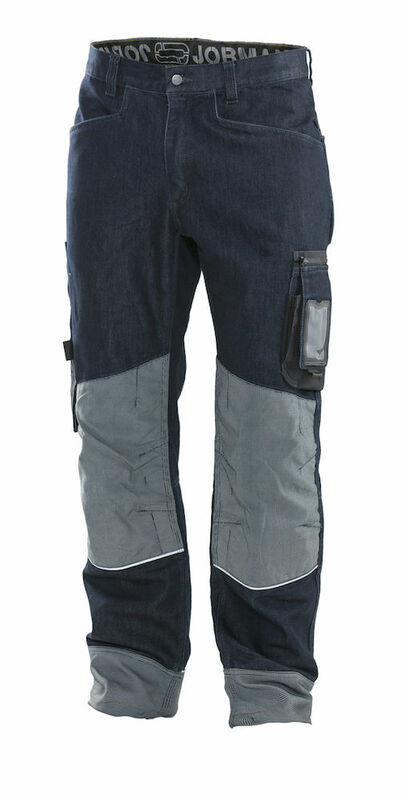 The workpants feature advanced workwear materials and functionality, yet sport a retro denim look. Unique in the world, these pants combine the best JOBMAN Workwear qualities into a superb set of workpants for the most demanding professional. Similar to the Ultra workpants with Kevlar knees in styling and fit, the 2991 are made of a unique JOBMAN denim look cotton/poly blend fabric, with polyamide reinforcements in key areas. The pants feature large front pockets and back pockets that are reinforced and designed so when you sit, you aren't sitting on items in your back pockets. 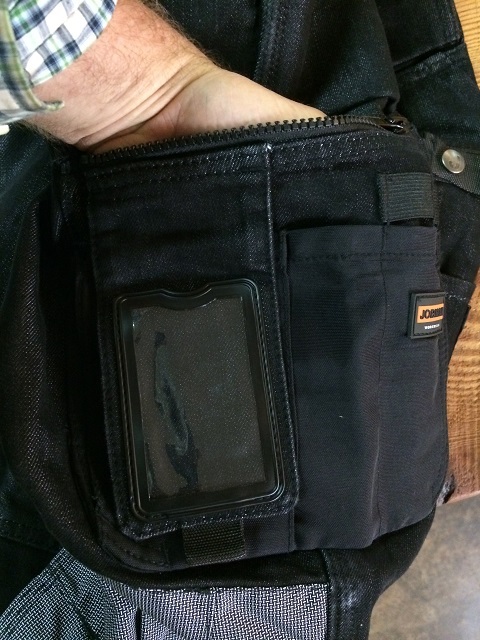 The large left side pocket has a zipper and also a phone pocket with a flap that has an ID holder. 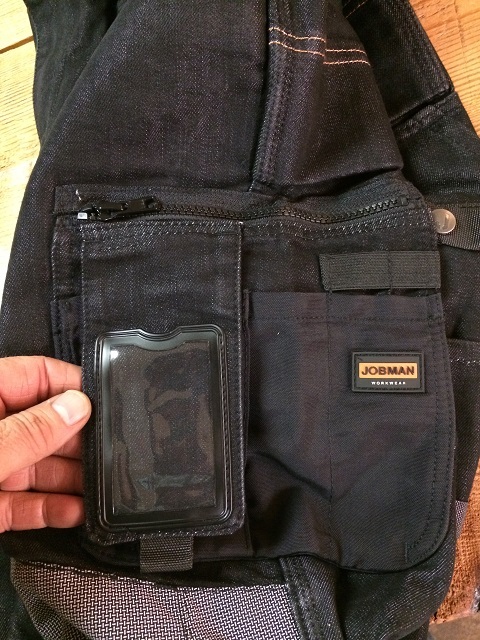 The pants have reflective piping on the front and the back and have a non-wicking cuff. 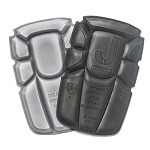 The knees are pre-bent, and the kneepad pockets are out of some of JOBMAN's most durable material. 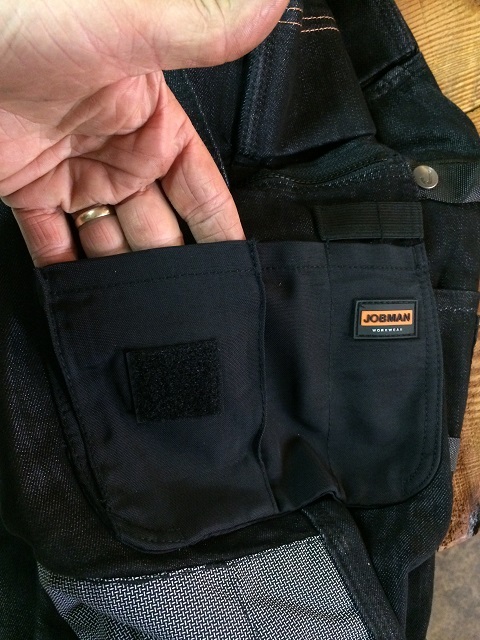 The internal knee protector pockets have two positions, so you can better position the kneepads on your knees. The cuffs also have a drawstring which can be adjusted to prevent cold drafts. There is a stiffened hammer loop and a rule pocket on the right leg. Also, a button and loop to attach Swedish Construction knives such as the Lindbloms Knivar 5005 Construction Knife are on the right leg. All in all, these pants are some of the best workpants available, with superb quality, function, and durability. Work Type: Low Voltage Contractor Very Good Quality construction, design, fit. Be wary of sizing: I am 5'10", 160lbs, athlectic build. Upsize one step for waist (ie., if 32, go to 33) Lengths are the same. Originally ordered 34 length (normally a 32) and it was too long. Great customer service, no problems exchanging. If you're a Carhartt wearer, give 'em up. Carhartt is cardboard compared to these. Great clothes. These are some of the most comfortable pants i have ever worn, let alone work pants! The reinforced knees are a must for my work, and the only criticism i could come up with is have to put the knee pads in from inside the pants. However if the pockets were available on the outside, they would likely gather dust and other mess like crazy. I like these so much i will start buying the denim service worker jeans from now on to replace just normal jeans. I have two pairs of these to rotate through for work, which is perfect.